Dry eye disease is one of the most common conditions encountered in eye clinics worldwide, with a prevalence ranging from 10.7% to 23.7% in adults [1-3]. A retrospective study found that 86% of patients with dry eye disease had meibomian gland dysfunction (MGD), indicating the importance of MGD in this disease . MGD is characterized by obstruction of the orifices or impaired secretory function of meibomian glands, both of which give rise to dry eye symptoms such as a foreign body sensation, dryness and photophobia and it has a prevalence ranging from 46.2% to 61.9% in elderly individuals [5-7]. The first line of treatment for MGD is education with regard to the potential impact of diet, the effects of work-home environment on tear evaporation and the possible drying effect of certain systemic medications. Other treatment options include eyelid warming, the application of a compress and active maintenance of lid hygiene 8. Artificial tears as well as antibiotics or anti-inflammatory drugs for severe cases can also be applied. Given the limited time available for physicians to spend with each patient in the general eye clinic setting, we hypothesized that education of MGD patients by a doctor might not be sufficient and that additional time spent with a nurse for this purpose might improve outcome. 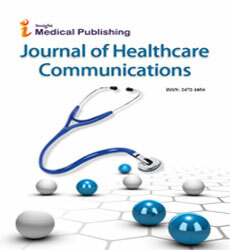 In this study, we evaluated the impact of additional instruction of MGD patients by a nurse. Our results indicate that such additional information was effective for improving ocular symptoms and quality of life in MGD patients. This clinical study was approved by the Internal Review Board of Ohshima Eye Hospital (approval no. 2017-06) and adhered to the tenets of the Declaration of Helsinki. Written informed consent was obtained from all subjects. The data was collected from April 1st, 2017 through July 2nd, 2017. Patients diagnosed with MGD at Ohshima Eye Hospital from March 1st, 2017 through May 31st, 2017 were considered candidates for the study. The diagnosis of MGD was based on the diagnostic criteria of the Japan Meibomian Gland Dysfunction Working Group 9 and was made by an ophthalmologist (co-author N.M.). After the patients had provided informed consent, clinical parameters including lid margin abnormalities (vascularity, irregularity, plugging), meibum condition (meibum score), tear film breakup time (BUT) and Schirmer’s test value were measured for both eyes. The values of right eye were evaluated. Subjective symptoms were also scored with the use of the Dry Eye-Related Quality-of-Life Score (DEQS) questionnaire 10. The subjects were then randomly divided into two groups: the additional instruction group and the control group. Ten patients (four men and six women, mean age ± SD of 73.2 ± 8.1 years and age range of 59 to 83 years) were included in the additional instruction group and another 10 patients (three men and seven women, mean age ± SD of 74.5 ± 9.6 years and age range of 52 to 84 years) in the control group. Patients in both groups received specific information concerning MGD and its treatment from an ophthalmologist and those in the additional instruction group also received specific instruction approximately for 10 minutes before leaving hospital regarding treatment from a nurse (author T.I. and co-author R.I.) as outlined in Table 1. The eyelid-warming device Azuki-no-chikara (Kiribai Chemical, Osaka, Japan) was provided for treatment to all subjects as they left the hospital. After 1 month, the subjects returned to Ohshima Eye Hospital for measurement of the same clinical parameters and evaluation of treatment compliance as well as of subjective symptoms with the DEQS questionnaire. Clinical parameters were obtained from the subjects, but the observer (co-author N.M.) was unaware of that the subjects belonged to “Control group” or “Additional instruction group. Table 1: Information provided by an ophthalmologist and by a nurse to study participants. The measured clinical parameters and DEQS values were compared between before and after treatment for 1 month with the eyelid-warming device. Statistical analysis was performed with the paired Student’s t-test and a P value of<0.05 was considered statistically significant. Comparison of clinical parameters between before and after treatment by eyelid warming for the additional instruction and control groups is shown in Table 2. Lid margin vascularity, irregularity and plugging as well as tear film BUT and Schirmer’s test value did not differ significantly between before and after treatment in either group. In contrast, the meibum score in both control and additional instruction groups was significantly reduced after treatment (P=0.022 in each case), indicative of an improvement in meibum condition. Table 2: Comparison of mean values for clinical parameters between before and after eyelid warming for 1 month. Questioning of the subjects with regard to treatment compliance revealed that 9 out of 10 subjects in the control group completed eyelid warming twice a day over the 1-month period. The remaining subject in this group applied the eyelid-warming device at least once a day but forgot to apply the second treatment on several days. In the additional instruction group, 9 of the 10 subjects completed eyelid warming twice a day for the entire month, with the remaining individual having forgotten to apply the device just once or twice during the treatment period. Comparison of symptom frequency according to the DEQS questionnaire between before and after the treatment period is shown in Table 3. In the control group, only the frequency of tired eyes was significantly decreased (P=0.023) after treatment. In contrast, the frequency of dry eyes, sore eyes, tired eyes, red eyes, difficulty keeping my eyes open, vision became blurry when engaging in activities that required sustained visual attention, light was too bright and eye symptoms interfered with work, housework, or studying was significantly decreased after treatment in the additional instruction group (P=0.007, 0.009, 0.004, 0.028, 0.010, 0.003, 0.009 and 0.028, respectively). Table 3: Comparison of mean DEQS scores for the frequency of subjective symptoms between before and after eyelid warming for 1 month. Comparison of symptom severity according to DEQS between before and after treatment for the two groups is shown in Table 4. In the control group, the severity of tired eyes and eye symptoms worsened when reading newspapers, magazines, or books was significantly decreased after treatment (P=0.021 and 0.026, respectively). On the other hand, in the additional instruction group, the severity of sore eyes, tired eyes, red eyes and vision became blurry when engaging in activities that required sustained visual attention was significantly decreased after treatment (P=0.010, 0.029, 0.035 and 0.005, respectively). Furthermore, the overall symptom score was significantly improved in the additional instruction group (P=0.043) but not in the control group (P=0.081). Table 4: Comparison of mean DEQS values for the severity of subjective symptoms between before and after eyelid warming for 1 month. We have here evaluated the impact of additional information provided by a nurse on the treatment of MGD, revealing that such additional instruction improved subjective symptoms in MGD patients. Our results suggest that support by nurses in the instruction of MGD patients can contribute to the amelioration of dry eye disease. A treatment strategy for MGD has been proposed by the International Workshop on Meibomian Gland Dysfunction and stipulates that education of patients about MGD should be the first step of treatment. Eyelid warming was proposed as a second step of MGD treatment in addition to lid hygiene [8-10]. We therefore focused on the importance of patient education and eyelid warming in the present study. Among the clinical parameters measured, only the meibum score showed a significant improvement that was apparent in both control and additional instruction groups. This finding suggests that the subjects in both groups performed regular eyelid warming to similar extents. The lack of significant changes in other parameters may reflect the relatively short treatment period of 1 month. In contrast to clinical parameters, the number of subjective symptoms showing a significant improvement in frequency or severity was greater for the additional instruction group than for the control group. In particular, bothersome ocular symptoms that impact daily life such as sore eyes, tired eyes, or red eyes were ameliorated in the additional instruction group. The clinical parameters did not reflect this improvement in dry eye symptoms. The instruction by nurses provided MGD patients with additional information regarding the relaxing effect of eyelid warming as well as its clinical effect on meibomian glands. This additional knowledge and the relaxing effect itself may thus have contributed to the treatment-associated decrease in subjective symptom scores. Tear film conditions except meibum grade were not significantly improved although DEQS scores were significantly improved in both control and additional instruction group. We have previously reported that eyelid warming with Azuki-no-chikara improved tear film parameters in a different hospital . Previous study basically included severe MGD patients thus the clinical parameters may be improved, thus it may not be adequate to compare these studies. We speculate that slight improvements of tear film condition by eyelid warming with Azuki-no-chikara may contribute the improvement of subjective symptom score. If those slight improvements of the tear film condition was difficult to detect by the current clinical examinations, further development of the detection method to evaluate tear film parameters may sensitively detect the changes of the tear film conditions. As far as we are aware, our study is the first to show that additional instruction by nurses can improve the outcome of treatment in terms of subjective dry eye symptoms in patients with MGD. Although treatment is led by physicians, our results suggest that their contribution is not sufficient for patients to achieve the maximal therapeutic effect because of the limitations of working conditions. Instead, our study suggests that a team approach to medical care involving both physicians and nurses provides a better treatment outcome in MGD patients. Various treatment options for MGD including the LipiFlow instrument, intense pulsed light, eyelid-warming devices, intraductal probing, as well as topical or oral application of drugs have been developed [11-19]. Our present results regarding additional instruction by nurses for improving the outcome of treatment with the Azuki-no-chikara eyelid-warming device may also be applicable to other treatment approaches. Ahn JM, Lee SH, Rim TH, Park RJ, Yang HS, et al. (2014) Epidemiologic Survey Committee of the Korean Ophthalmological Society. Prevalence of and risk factors associated with dry eye: The Korea National Health and Nutrition Examination Survey 2010-2011. Am J Ophthalmol 158: 1205-14 e7. Stapleton F, Alves M, Bunya VY, Jalbert I, Lekhanont K, et al. (2017) TFOS DEWS II epidemiology report. Ocul Surf 15: 334-365. Uchino M, Nishiwaki Y, Michikawa T, Shirakawa K, Kuwahara E, et al. (2011) Prevalence and risk factors of dry eye disease in Japan: Koumi study. Ophthalmology 118: 2361-2367. Lemp MA, Crews LA, Bron AJ, Foulks GN, Sullivan BD (2012) Distribution of aqueous-deficient and evaporative dry eye in a clinic-based patient cohort: A retrospective study. Cornea 31: 472-478. Lekhanont K, Rojanaporn D, Chuck RS, Vongthongsri A (2006) Prevalence of dry eye in Bangkok, Thailand. Cornea 25: 1162-1167. Lin PY, Tsai SY, Cheng CY, Liu JH, Chou P, et al. (2003) Prevalence of dry eye among an elderly Chinese population in Taiwan: The Shihpai eye study. Ophthalmology 110: 1096-1101. Uchino M, Dogru M, Yagi Y, Goto E, Tomita M, et al. (2006) The features of dry eye disease in a Japanese elderly population. Optom Vis Sci 83: 797-802. Geerling G, Tauber J, Baudouin C, Goto E, Matsumoto Y, et al. (2011) The international workshop on meibomian gland dysfunction: Report of the subcommittee on management and treatment of meibomian gland dysfunction. Invest Ophthalmol Vis Sci 52: 2050-2064. Amano S, Arita R, Kinoshita S (2010) StJDESMGDW Definition and diagnostic criteria for meibomian gland dysfunction. Atarashii Ganka (J Eye) 27: 627-631. Sakane Y, Yamaguchi M, Yokoi N, Uchino M, Dogru M, et al. (2013) Development and validation of the dry eye-related quality-of-life score questionnaire. JAMA Ophthalmol 131: 1331-1338. Arita R, Morishige N, Shirakawa R, Sato Y, Amano S (2015) Effects of eyelid warming devices on tear film parameters in normal subjects and patients with Meibomian gland dysfunction. Ocul Surf 13: 321-330. Greiner JV (2012) A single LipiFlow (R) thermal pulsation system treatment improves Meibomian gland function and reduces dry eye symptoms for 9 months. Curr Eye Res 37: 272-278. Craig JP, Chen YH, Turnbull PR (2015) Prospective trial of intense pulsed light for the treatment of meibomian gland dysfunction. Invest Ophthalmol Vis Sci 56: 1965-1970. Maskin SL (2010) Intraductal meibomian gland probing relieves symptoms of obstructive meibomian gland dysfunction. Cornea 29: 1145-1152. Akpek EK, Vittitow J, Verhoeven RS, Brubaker K, Amar T, et al. (2009) Ocular surface distribution and pharmacokinetics of a novel ophthalmic 1% azithromycin formulation. J Ocul Pharmacol Ther 25: 433-440. Foulks GN, Borchman D, Yappert M, Kakar S (2013) Topical azithromycin and oral doxycycline therapy of meibomian gland dysfunction: A comparative clinical and spectroscopic pilot study. Cornea 32: 44-53. Foulks GN, Borchman D, Yappert M, Kim SH, McKay JW (2010) Topical azithromycin therapy for meibomian gland dysfunction: Clinical response and lipid alterations. Cornea 29: 781-788. Pery JF, Sagi E, Hemo I, Hadani PE (1993) Efficacy of doxycycline and tetracycline in ocular rosacea. Am J Ophthalmol 116: 88-92. Shine WE, McCulley JP, Pandya AG (2003) Minocycline effect on meibomian gland lipids in meibomianitis patients. Exp Eye Res 76: 417-420.